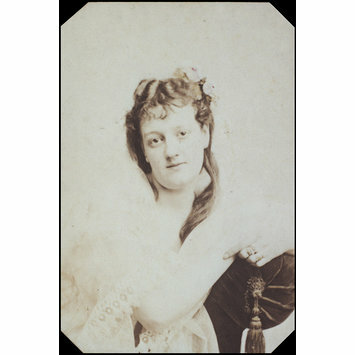 Sepia photograph of Louise Clare. 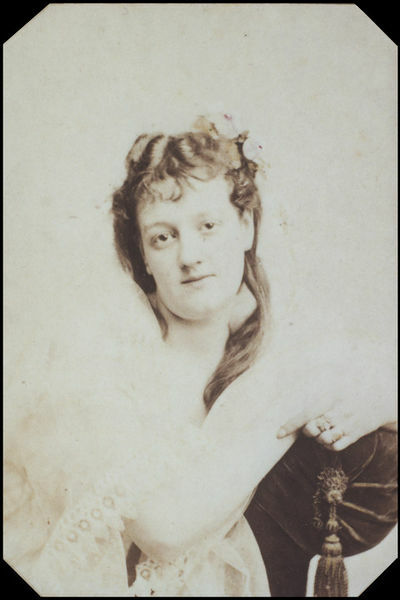 Written in ink on mount of photograph. 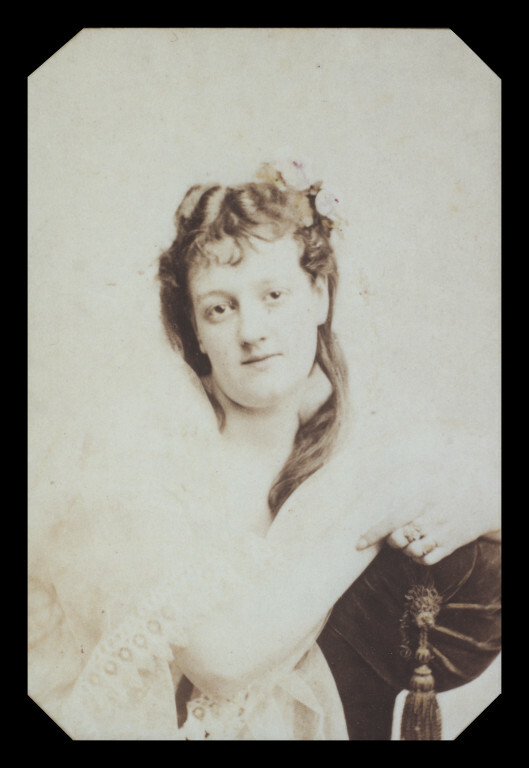 Photograph of Louise Clare, late 19th c. Guy Little Collection. Attribution note: Photographic copy of original 19th c. photograph.